Following on from my description of the Taku Forts, I thought I would follow up with a few additional images concerning the whereabouts of my Great, Great Grandfather's regiment (67th Foot) in China during 1860. 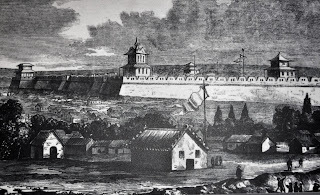 In that year an Anglo French military expedition aimed to enforce the 1858 Tientsin Trade Agreement. The first picture below shows the only remaining fort at Taku on the southern bank of the Pei Ho river. Now brilliantly restored with a fabulous museum in close proximity. For the full story of the miltary action at Taku please scroll to the bottom of the page and click the link. One of the best first hand accounts of the campaign was written by J.H.Dunne an officer in the 99th Regiment. 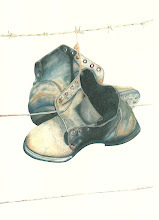 Dunne offers a day by day narrative which is rich in detail. 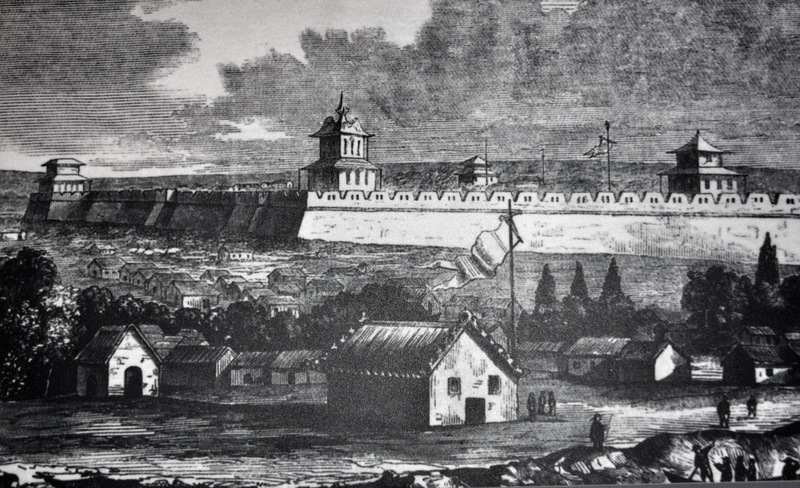 Dunne records that on Oct 6th 1860 having followed the Pei Ho river, the 1st and 2nd Divisions arrived at the North East Gate of Peking. In those days the city was surrounded by a massive city wall with huge, multi-story watchtowers. The picture below shows part of the city wall. Sadly, most of the remaining watchtowers and virtually all of the wall have been systematically destroyed from 1911 onwards. Most recently to make way for modern roads. More recently the Chinese government has changed it's policy and parts that remain have now been sympathetically restored. 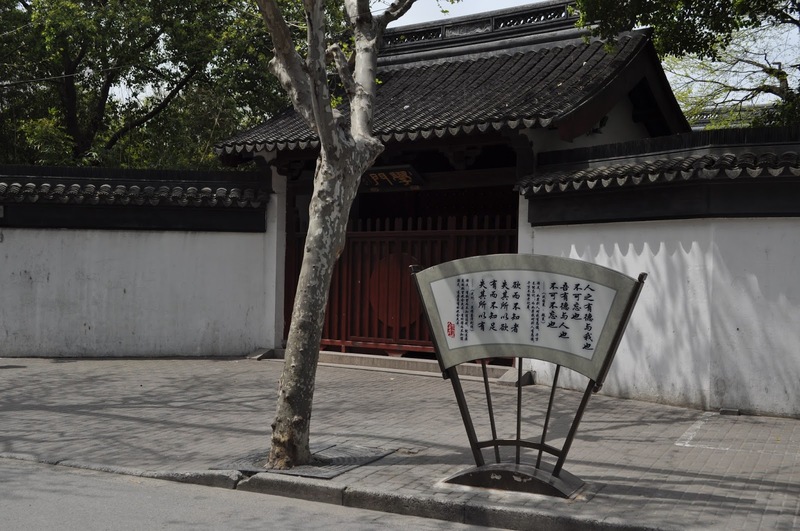 From my research at the Public Records Office in London I knew that the 67th had been billeted in what is now known as the Lama Temple in the Dongcheng District of Beijing. 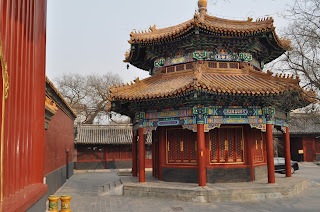 The pictures above show the Lama Temple as it is now. Luckily it is on the tourist trail so my wife was very happy to join me on a detour to this quiet corner of the bustling city. One of the things I enjoy about walking the battlefields is that when 'on the ground' it is often immediately evident why particular locations were important. In the Lama Temple it is immediately obvious that the stout surrounding walk, individual sleeping quarters, expansive squares and large communal rooms made this an ideal spot for billeting a regiment of soldiers. The history of the Anglo French visitation on Pekin is not an honourable one. Amongst other things, the combined Army sacked the Emperor's Summer Palace - stripping away everything of value and destroying many of the buildings and gardens. Dunne's narrative provides intriguing detail of how the British contingent joined in following early acts of vandalism by the French. Dunne records the final act in his diary under the date of October 19th 1860. "The whole sky, on the Summer Palace side of the horizon, is black with the volumes of smoke from it and the smaller palaces nearby. We hope the old Emperor, in his hunting box in the hills, may see it". 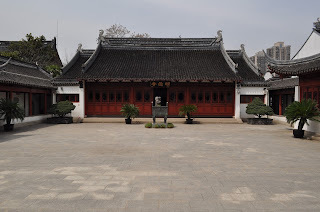 With Pekin stabilized and the trade agreement reinforced, the 67th Regiment moved onto Shanghai where they were billeted in the Confucian Temple (called Wen Maio). 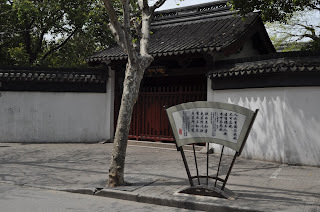 My wife and I had a fascinating walk through the bustline hutongs of old Shanghai and again, on seeing the temple, it was obvious why Wen Maio was chosen given the close resemblance to an army barracks or fort. 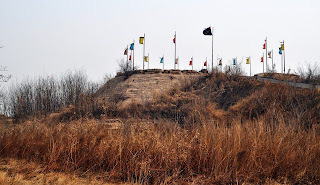 For my blog on the Taku Forts click here. 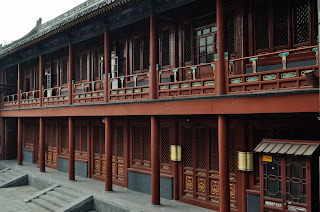 For my photographs of China more generally then click here.